Xiaomi often refers to Apple's king of china has venture into many things. Apart from making smartphones, they also make fitness trackers, power banks, laptops, smart Tv, Chips. Yet the company show no sign of resting. 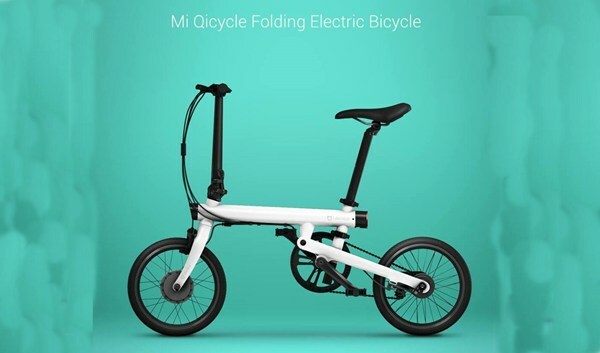 Yesterday the company unveil a Xiaomi QiCycle- A smart bicycle. The QiCycle is an electric bicycle which you can fold, it has an app that give you in-depth statistics on every ride you take which makes it more smarter. Below are the major features of the Xiaomi Qicycle. Torque Measurement Method (TMM) sensor intelligently measures the torque you apply and adjusts power based on your pedaling. A Companion smartphone app that displays in-depth info: bike status, GPS navigation, ride stats. 20 x 2900mAh lithium-ion battery cells (same battery used by Tesla) with a battery management solution that can go 45 km on a single charge.